Weekends away are great. Weekends away that seem to last for years and come with wine, cheese, frosty mornings, endless blue sky and an assortment of arresting characters without blowing the budget are fantastic. Can it be done for less than $250? 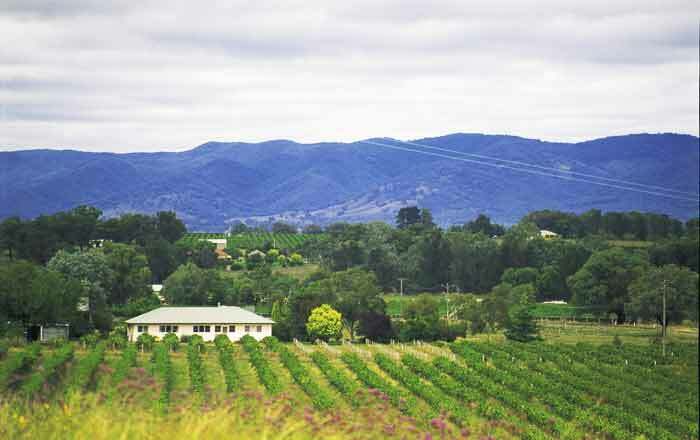 Mudgee, 270km northwest of Sydney, is one of Australia’s most picturesque food and wine destinations. I promised myself I could have a weekend there for less than $250. My plan was simple; sample everything, wander aimlessly, take some photos and scamper off. I think I was successful – most of the time. I actually learnt I have little self discipline when it comes to Mudgee produce. It’s funny how a few tastings at a select couple of cellar doors weaken the hardest of resolves. But I started well. First stop, Mudgee Honey Haven. No matter how stunning the scenery may be, after 3.5 hours of driving we all need to be sweetened. With dozens of honeys, jams and meads lining the walls, this family business and their Patterson’s Curse Honey was difficult not to love. Yep, the credit card was out at the first stop and I was in trouble already. To drink off buyer’s remorse I headed to Thistle Hill Vineyard. Lorikeets picked at winter vines whose colourful plums bring much needed vibrancy to cold gardens. Crossing the road to Blacklea Vineyard I commenced an unexpectedly informative (and completely free) wine tasting. My favourite tasting buddy in the world, the energetic Bernard Blackley became a winemaker at the sprightly age of 60. In long chats with him I discovered the secrets of Sauvignon Blanc, that olive leaf extracts in your coffee can prevent obesity and caramelized cabernet should be eaten with nothing but vanilla ice cream. When not constrained by a rigid budget I plan to return for Blacklea’s Italian Master Cooking Class. Feeling sufficiently warm and informed, I indulged in some award winning red wine courtesy of the eclectic Red Clay Estate, Mudgee’s smallest winery. With all wines under $18 this was my sort of place. 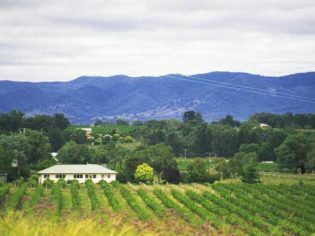 Although Mudgee beds can be scarce on weekends, Farmer’s Daughter Cottages and Owl Head Lodge all offer endearing, self-contained winter accommodation. Horatio and Winning Post Motor Inn represent budget country accommodation at its iconic best. Me, I blew it. All self discipline evaporated in the wine fumes. AJ’s Mudgee Guesthouse is the typical luxury country town guest house. Run by fantastic hosts, the elegant home is like visiting a rich aunt in the country who makes wicked buttermilk pancakes in the morning. My aunt though never charged me $195 for a room. Just minutes up the road from Mudgee, Gulgong is a town drenched in historic buildings. Most famous for Henry Lawson, the town’s quirky museum is stuffed with remnants of the golden years of the region. Before returning to the big smoke on a short 200 metre stroll I loaded up on of olives, quince paste, antique furniture, quirky instruments and great coffee from an old butcher’s shop. So, yes I failed. But not too miserably. Tallying it all up I spent just over $300, ate like a queen, slept like a king and will eat like a princess for months to come.